Here’s proof you don’t need decades of training to make an amazing discovery. 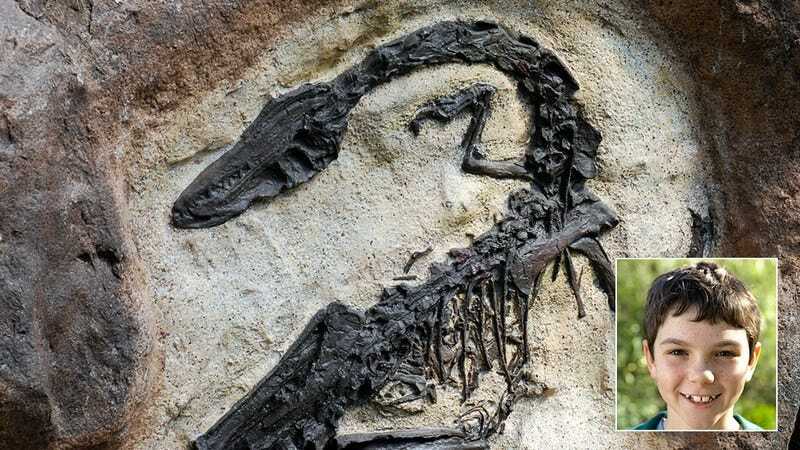 New dinosaur fossils provide scientists with crucial information about life millions of years ago, so whenever one is found, it’s a big deal. And the most recent prehistoric discovery was made by an unlikely paleontologist: An Argentinosaurus femur in great condition was discovered by an 8-year-old whose parents apparently don’t really care where he wanders off to! Walter Driscoll may only be in the third grade, but thanks to the parental neglect that allowed him to trudge through the woods completely unsupervised a good two miles behind his house, he was able to make a discovery that people five times his age wait their whole careers for. Walter found the Argentinosaurus bone lodged in a marsh, a place that good parents wouldn’t even think to let their kids romp around in even with them watching, and he miraculously dragged it all the way back to his house, where you have to assume his parents were still watching TV, not even aware Walter had been in the woods that whole time. Wow, it’s a good thing for dinosaur enthusiasts that Walter didn’t get lost in the woods, fall down an embankment, or any one of the other hundred fates that would make any self-respecting parent worried enough to make sure their kid was never in the woods by himself for hours. Thank you, Mr. and Mrs. Driscoll, because if you were even halfway decent parents, science wouldn’t have this valuable specimen to study!